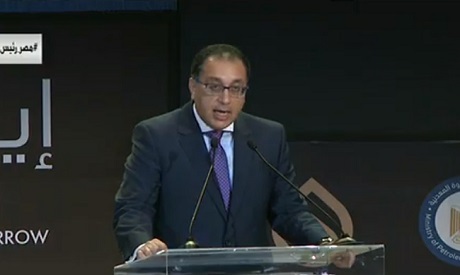 Egyptian Prime Minister Mostafa Madbouly inaugurated the three-day International Petroleum Conference in New Cairo on Monday, saying it is a "great opportunity" for the government and different sectors to coordinate vis-a-vis the energy sector. In a speech at the opening ceremony, Madbouly added that the conference will create opportunities which can benefit all parties. He has also stressed Egypt's capability in maintaining a plan that has vastly helped its economy in the recent period. The conference is being held under the auspices of President Abdel-Fattah El-Sisi and will see the participation of a number of Arab and African oil ministers. The third annual conference and exhibition’s slogan is “North Africa and the Mediterranean: Meeting Tomorrow's Energy Needs." It will feature sessions on energy security, women's health, safety, the environment, finance and investment, with more than 200 speakers, including industry officials and experts, and 1,200 delegates. The conference will tackle the topics of digital technology in the field of energy and youth empowerment for the first time this year. Four hundred companies and 13 countries will be participating in the acconpanying exhibition.